Arranged in a Cream coloured Hat Box with beautiful blooms of Lilac and pale blues and cream including Roses, Clematis, Lisianthus and Carnations. Together with the flower food to ensure longer life and your personal card message, this is the complete package which will sure to be admired by all! 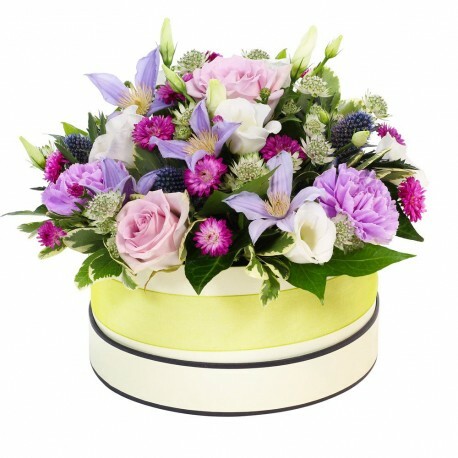 The Hat box is a useful storage container after is has been used as a flower container.